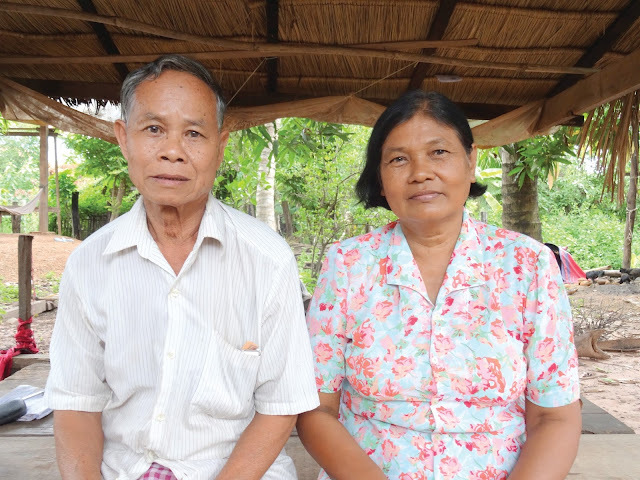 To get an inside perspective on the changes in Anlong Veng, Cambodia from the start of FH programing seven years ago to graduation in 2015, we interviewed four community members. They each described their unique experience of partnership with FH and their development journey. Nub Sambath is a 54 year old mother of four children and leader of a Credit Association in Toul Treas. This is her story. “I am a leader of a Credit Association in my village which resulted from our Savings and Loans Groups that came together. All the members in the Savings Groups have equal opportunity to borrow money – in one group we have more [than] 10 million riels ($3212 CAD) so we can start whatever project we can think of. We can [also] use the money to take care of our health when we get sick. Because I am an older member of this village and have lived here for a long time I [have] seen a lot of positive changes take place over these years. Before, our children died because of malaria, but now, we know how to manage this. I have observed that death because of malaria is not common anymore. We [also] learned how to make water filters and we actually do them by ourselves. We boil our water, too, so diseases and sickness are manageable. We can solve our own problems now. I am so thankful for you, the people of Canada, connecting with FH Cambodia so that we have risen above our situation – we have developed and improved from poverty because of the funds you send.